With a stay at this apartment in Venice (Dorsoduro), you'll be a 4-minute walk from Academy Gallery and 7 minutes by foot from Ca' Rezzonico. The front desk is staffed during limited hours. With a stay at Relais San Basilio Convento in Amalfi, you'll be within a 15-minute drive of Cathedral of Amalfi and Emerald Grotto. With a stay at Camere Centro Storico, you'll be centrally located in Canelli, steps from Cantine Bosca and within a 10-minute walk of Coppo S.r.l..
Mare in Sicilia Marina di Ragusa offers accommodations throughout the area in Casuzze. Located in Ostuni, this villa is in a rural location, within a 15-minute drive of Castle of Ceglie Messapica and Ducal Castle. Free self parking is available onsite. 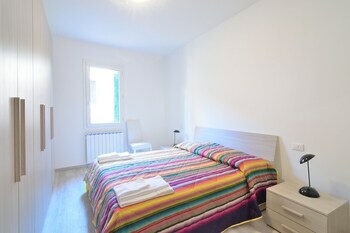 A stay at The Place in Rome places you in the heart of Rome, within a 15-minute walk of Trevi Fountain and Colosseum. Featured amenities include multilingual staff and luggage storage. With a stay at Florence Decamerone B&B in Florence, you'll be within a 15-minute drive of Stadio Artemio Franchi and Accademia Gallery. Self parking (subject to charges) is available onsite.